Its simple -- there isn't a regulatory body out there that creates a single authority document that doesn't, or hasn't overlapped an already existing one. We are ALL under multiple overlapping jurisdictions. The new HIPAA/HITECH Acts have alone spun a web of almost 60 Authority Documents that need to be followed. Even PCI refers to almost 5 dozen external Authority Documents. How do you understand what to comply with and turned that into an effective governance process? Watch this webinar and find out -- with NO marketing BS attached. Metrics management. 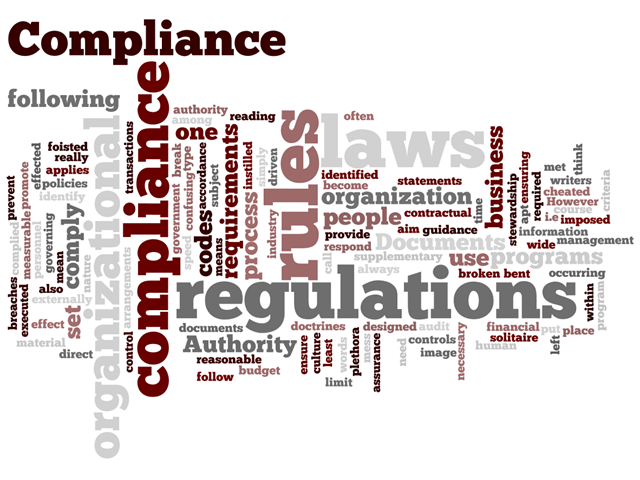 What does it mean, and more importantly, what does it mean for compliance reporting? Metrics are more than just measurements. Metrics are measurements with analysis. There are over 125 predefined metrics required for compliance reporting. And, there is a prescribed format. This webinar covers the metrics classes, their reporting standards, and what your organization needs to know to support a proper metrics management program as well as the policies and standards associated with them. The Information Assurance - Capability Maturity Model (IA-CMMI) is based on SEI's CMM, which became an ISO standard in 2002 (ISO 21827). IA-CMMI focuses on the processes that product information assurance analysis artifacts (e.g., results that identify vulnerabilities, threats, and their countermeasures). It is THE work breakdown structure for compliance implementation. But how many of us actually know what it is? We all suffer from audit fatigue. IT staff suffers because of having to follow too many guidelines and defend the same controls over and over again. Auditors suffer because their workload is continuing to be compounded with additional regulatory guidelines they have to creates examinations and interviews for. This webinar explores how we can all lessen the burden of audit fatigue by unifying compliance controls. Whether you call it harmonizing, cross-walking, or unifying -- the idea is the same; comply once and attest to compliance for multiple regulatory guidelines. Dorian Cougias, who with Marcelo Halpern of Latham & Watkins co-founded the Unified Compliance Framework, will walk users through the methodology the UCF uses for unifying compliance. Even if you aren't interested in the UCF, learn a methodology that has been often copied so that you can put your own spin on it if you want. Those who sign up prior to the webinar will receive a free copy of the ebook The Language of Compliance! In the world of IT compliance we hear "control this" and "control that". We have hundreds of regulations, contractual obligations, SLAs, Audit Guidelines, International Standards, and guidelines to follow. Each writes their own versions of "do this and do that", but how well are they written, and what, in each, should be used as controls (and what can be ignored)? Our inaugural webcast in the Unified Compliance webinar series, Dorian Cougias, who is internationally renowned for speaking in this very subject, will begin what should be a lively debate on the very definition of what a control is and isn't. We hope you join us! As always, there is no vendor "bent" to our webinars. No products to pitch. Nothing but pure information you can use in your organization. Everyone who signs up before the webinar will receive a free e-book of The Language of Compliance! Unified Compliance reduces the regulatory tornado to a much smaller set of harmonized guidelines, giving you a single point of control over hundreds of complex compliance requirements from around the world. Meeting your compliance requirements has never been this straightforward.